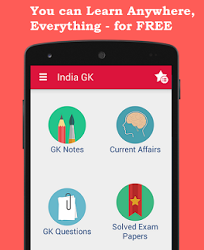 10th January 2016 Current Affairs MCQs, Quiz, Questions: Current Affairs for January 2016, Daily Multiple Choice Questions (MCQs) for India GK, World GK and current affairs with Collection of daily objective type Question by www.Indiagk.net based on General Knowledge (GK) and General Science (GS) Questions for UPSC, State PSC, SSC, Police exam, Railway exam, SBI, Bank PO, IBPC, SSC, LDC, UDC, Army, Airforce, Navy, Coast Guard, Bank Clerk, TET and all entrance examination with current affairs News, Multiple Choice Questions (MCQs) available on Website www.IndiaGK.net and Android Apps with daily updates:. Who wins Brisbane International tennis 2016 Men's Title ? Explanation: Milos Raonic of Canada wins Brisbane International tennis tournament 2016 in Brisbane, Australia on Sunday. Milos Raonic got one back on Roger Federer to start the new season. The 25-year-old Canadian broke Federer’s serve once in each set of a 6-4, 6-4 win on Sunday night in the Brisbane International decider, reversing the outcome of their meeting in last year’s final at the Australian Open warmup tournament. Who launches the book 'Maru Bharat, Saru Bharat' ? Explanation: Prime Minister Narendra Modi on Sunday addressed the programme, Sahitya Satkar Samaroh, via video conference from his residence at 7 Race Course Road in New Delhi. On the occasion the Prime Minister unveiled the book 'Maru Bharat, Saru Bharat' penned by Acharya Ratnasundersuriswarji Maharaj Saheb. This is Maharaj Saheb's 300th book. The Sahitya Satkar Samaroh, which started in Mumbai on 1st January will conclude on Sunday.